This unique T-Rex dinosaur design is sure to be an attention grabber anywhere you go. • Fabricated from 12 gauge steel. 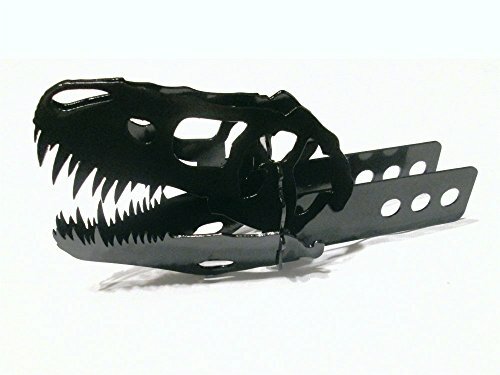 12-1/2" overall length the Dinosaur head is 8" Long the sculpture height is 4-7/8" Tall • Made to fit a standard 2 x 2 hitch receiver (Customization is available) • Powder coated for durability. • Many standard colors to choose from. Note: Unless specified this item will be finished "Black Satin"
If you have any questions about this product by Harkway, contact us by completing and submitting the form below. If you are looking for a specif part number, please include it with your message.